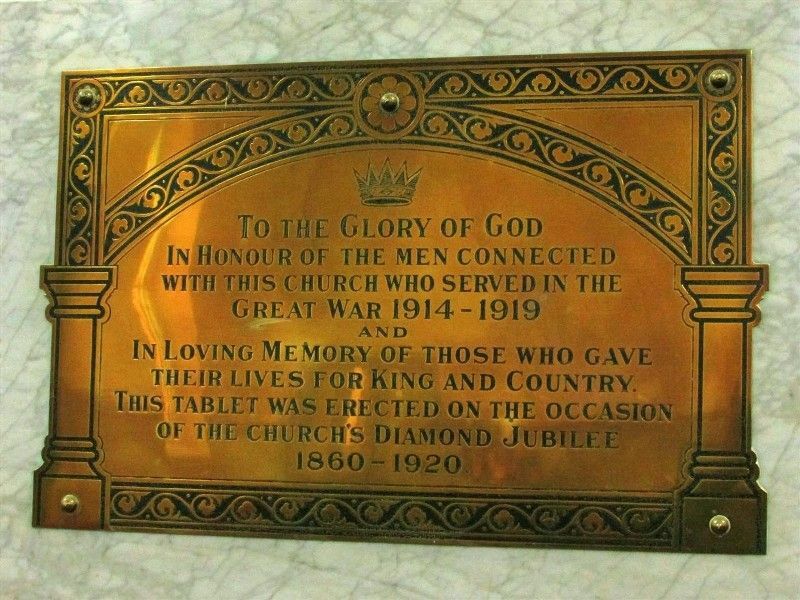 The plaque commemorates those from the church who served in World War One. It was erected during the occasion of the diamond jubilee of the church in 1920. In loving memoru of those who gave their lives for King and Country.